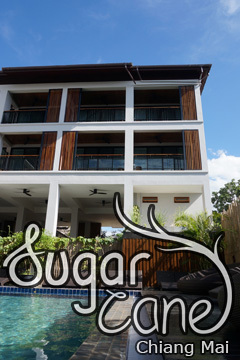 Green Tiger House - Old City, Chiang Mai, Thailand - Great discounted rates! 9.4 out of 10 based on 2228 verified user reviews via Agoda. Located in Old City, Green Tiger Vegetarian House is a perfect starting point from which to explore Chiang Mai. The hotel offers a wide range of amenities and perks to ensure you have a great time. Free Wi-Fi in all rooms, 24-hour front desk, luggage storage, Wi-Fi in public areas, car hire are on the list of things guests can enjoy. Guestrooms are designed to provide an optimal level of comfort with welcoming decor and some offering convenient amenities like television LCD/plasma screen, linens, locker, towels, closet. The hotel offers various recreational opportunities. Friendly staff, great facilities and close proximity to all that Chiang Mai has to offer are three great reasons you should stay at Green Tiger Vegetarian House. The property's food concept will be changed from Vegetarian to Vegan starting from May 1, 2019. Green Tiger House - Chiang Mai classifies itself as a 3 star hotel.